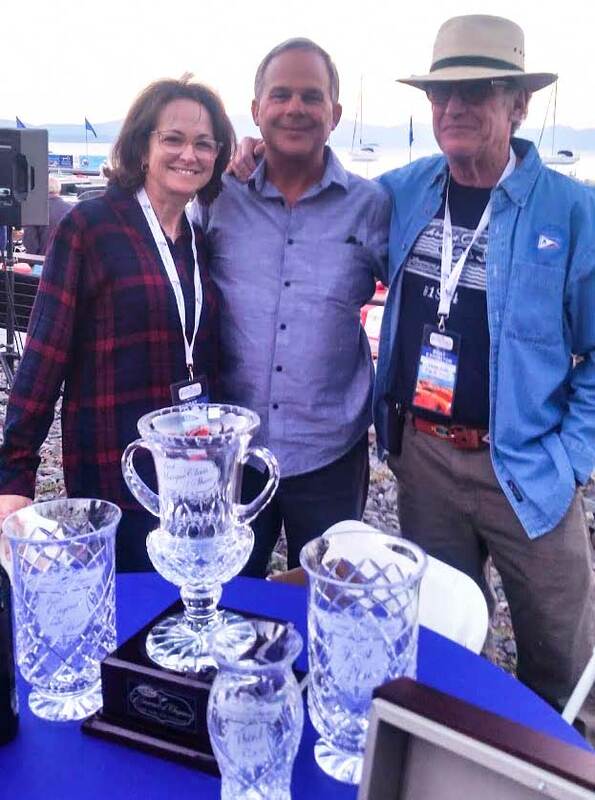 2018 – 46th Annual Lake Tahoe Concourse d’ Elegance. 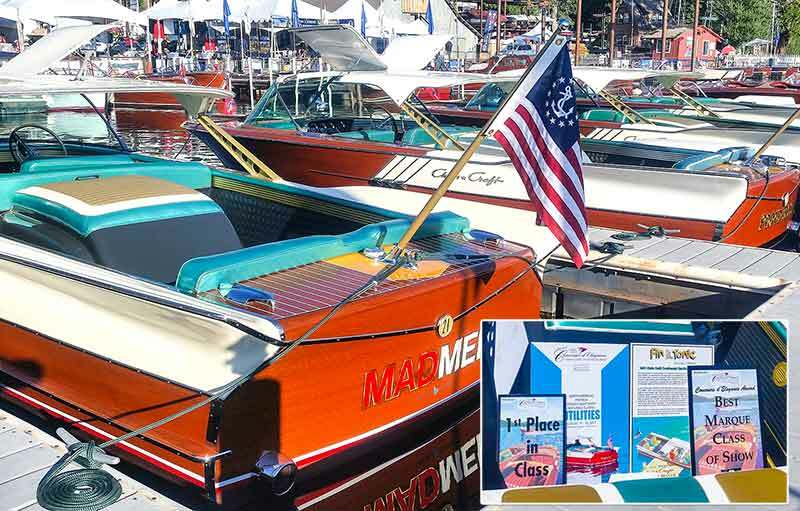 2017- 45th Annual Lake Tahoe Concourse d’ Elegance featuring the marque class – Utilities. 1922-1967. 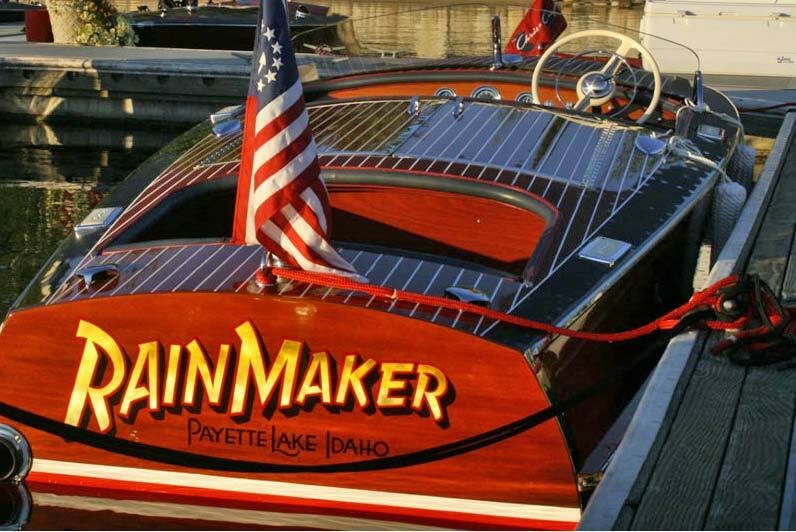 McCall Boat Works presented Fin & Tonic, Mad Men, and Proud Mary. 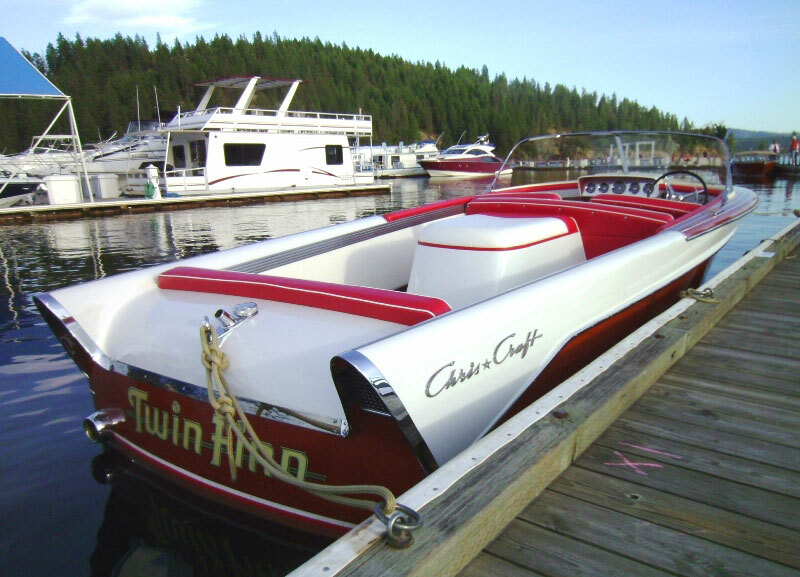 All 1960-61 Chris Craft 21 ft Continental Hardtops. 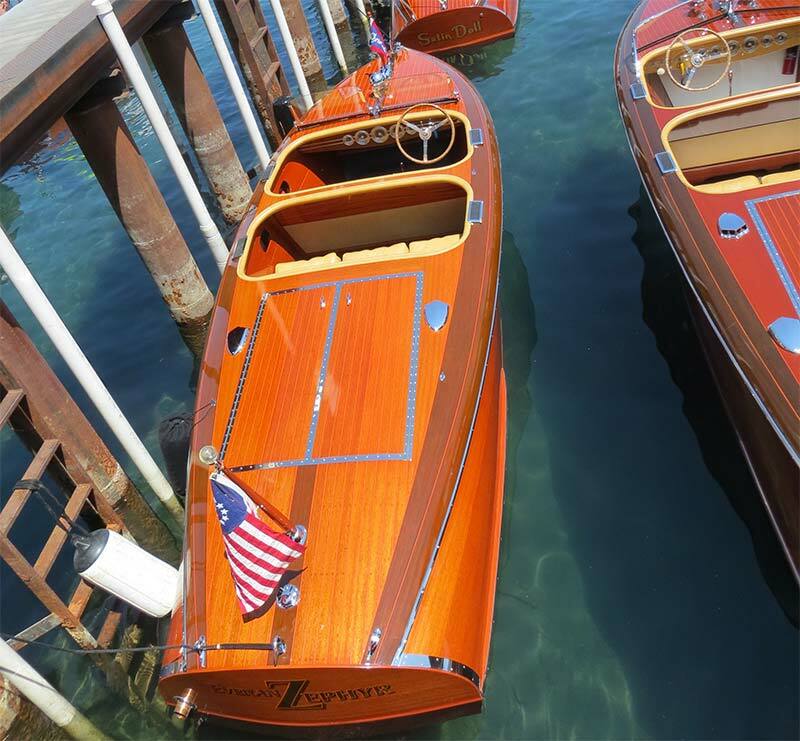 2016 44th Annual Lake Tahoe Concourse d’ Elegance featuring the Marque Class – Chris Craft Racing Runabouts – 1936-1954. 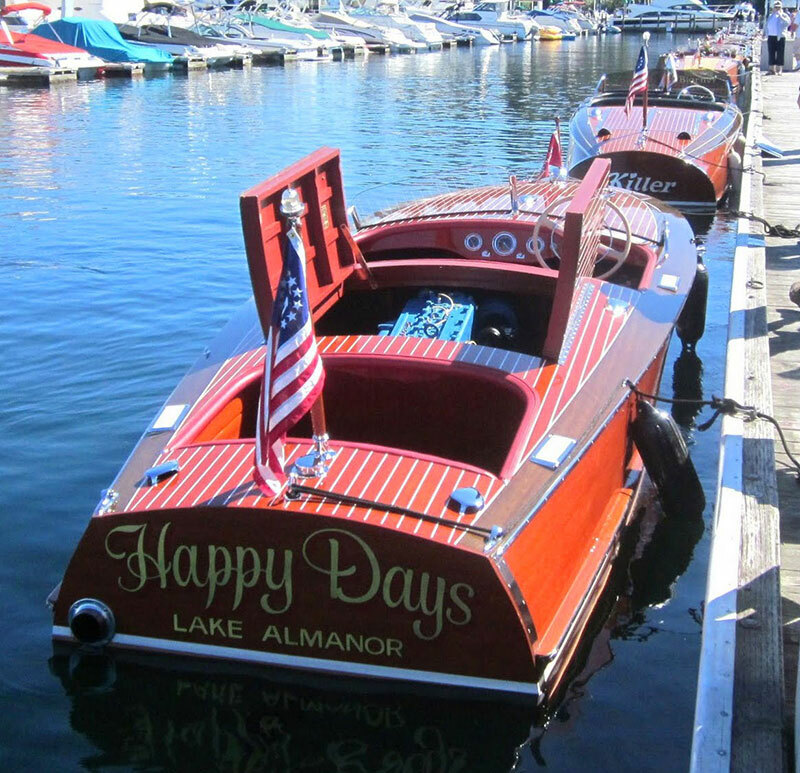 McCall Boat Works presented Happy Days, a 1952 Chris Craft 19 ft Racing Runabout. 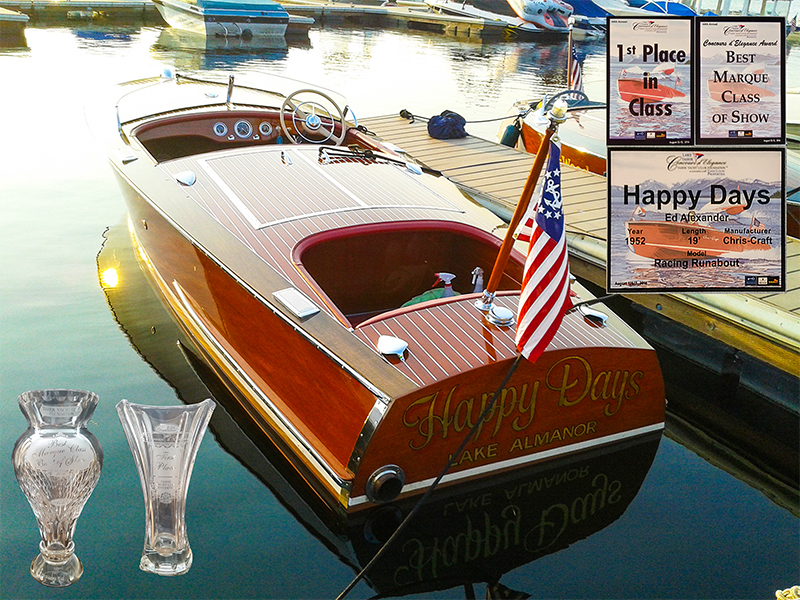 Happy Days took the top 2 awards. 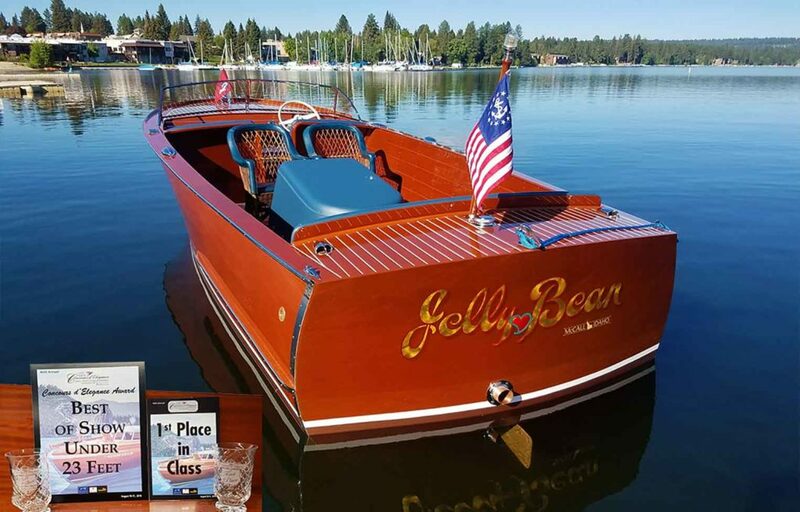 2016 41st ACBS Tahoe Show. 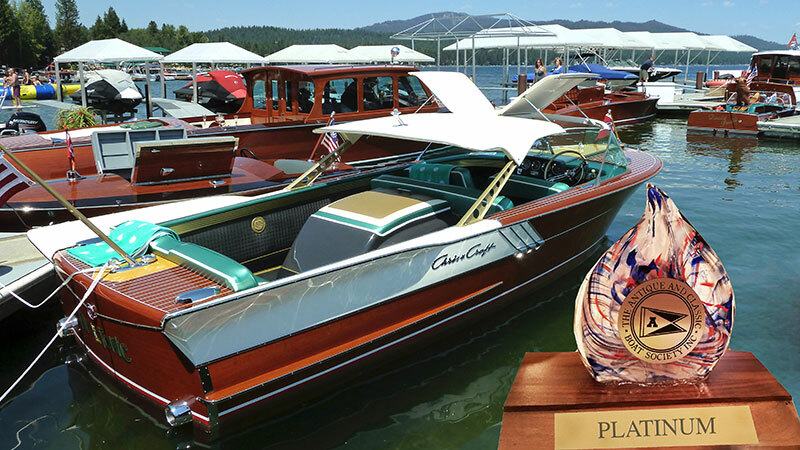 Fin & Tonic was awarded Boat of the Year Preserved. There is no higher than this on achievements. 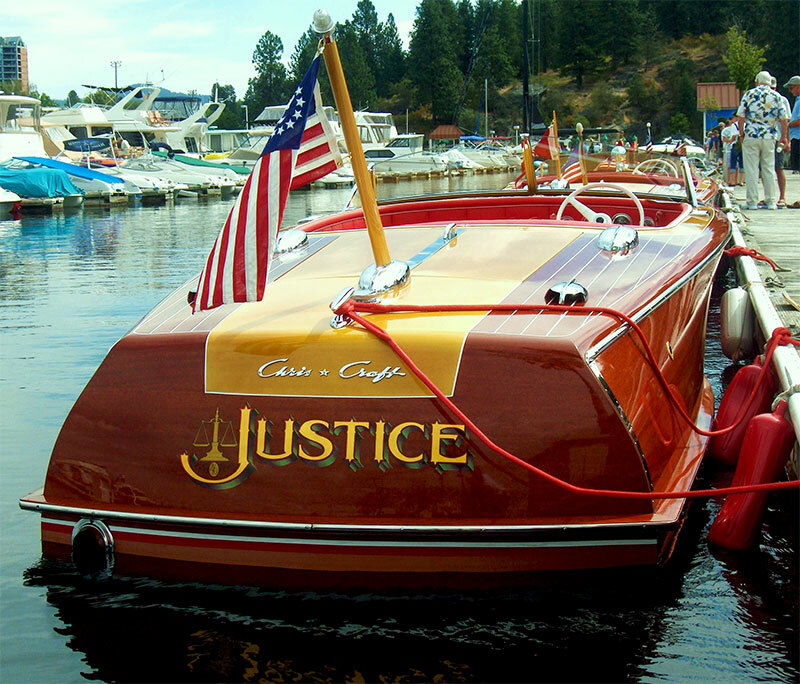 Boat after Boat we love what we do here at McCall Boat Works. 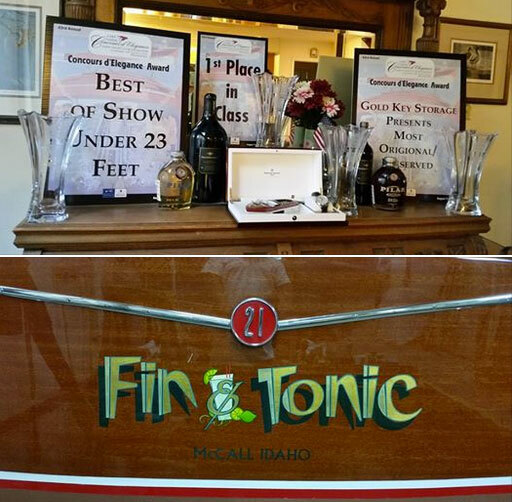 2015 Fin & Tonic takes another coveted award at the 40th Antique & Classic Boat Society Annual meeting and International Boat Show Sept. 23-27th at Gull Lake, Minnesota. 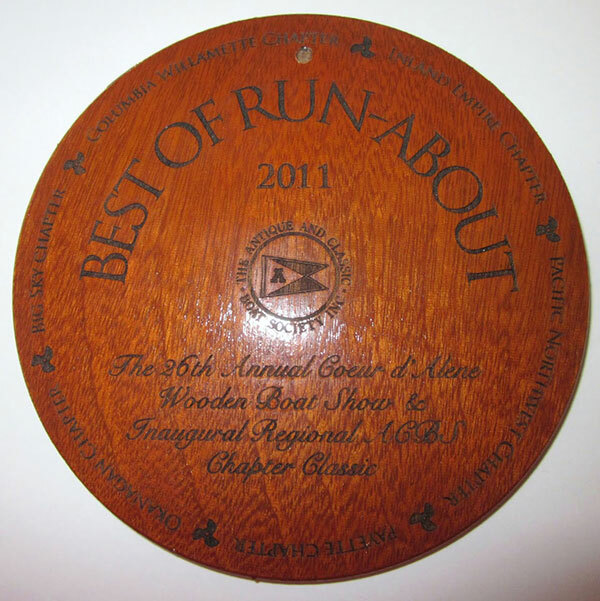 The event was held at Bar Harbor with 136 wood boats participating in the week long event. 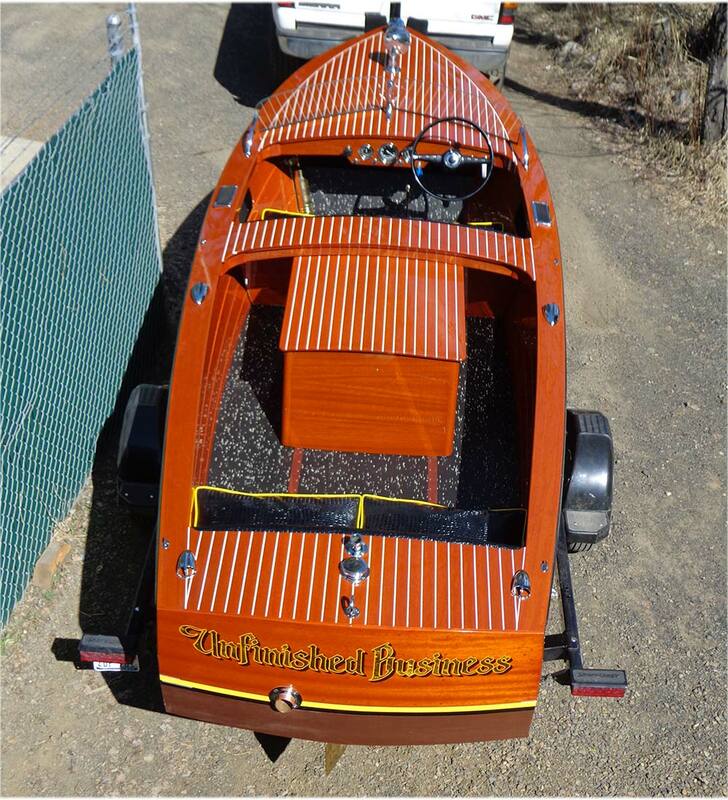 McCall Boat Works, Donald R Hardy, showed a classic Chris Craft 1961 21 foot continental called Fin & Tonic owned by Derk Brill & Pat Boomer of Mountain View, CA. Fin & Tonic was awarded a Platinum status by scoring 97 points and above. This is achieved by a judging committee with the ACBS. It was the only Platinum awarded in its class. A special thanks goes to Derk and Pat, owners of Fin & Tonic!